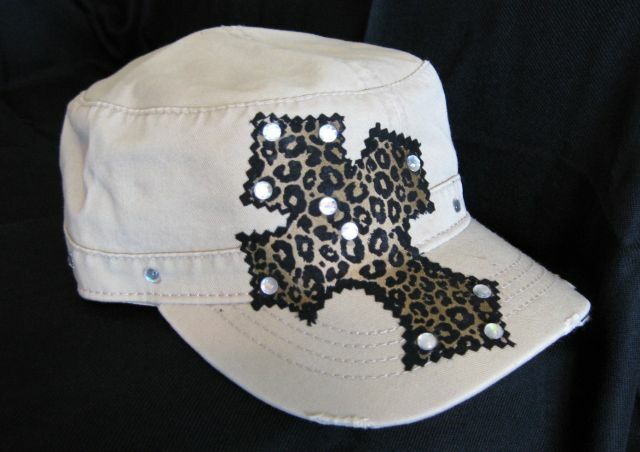 **Below are several types of fashion hats decked with style and bling. The first row are 'MOM Sport Hats'. 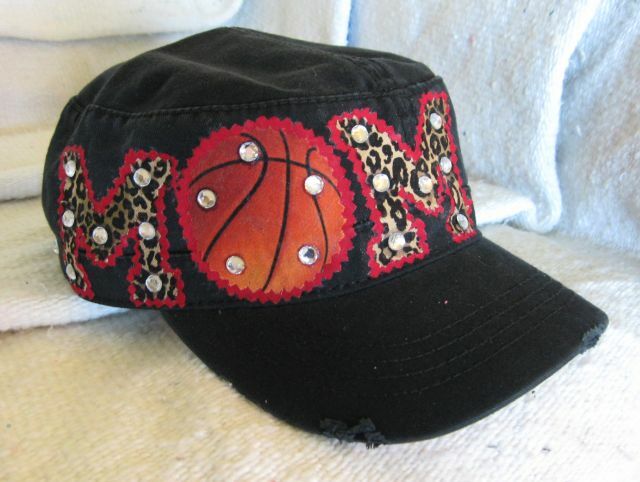 These pictures are available for order as is, but they also serve as examples of what can be made so you can then create your own 'MOM' hat in the Custom Hats section. 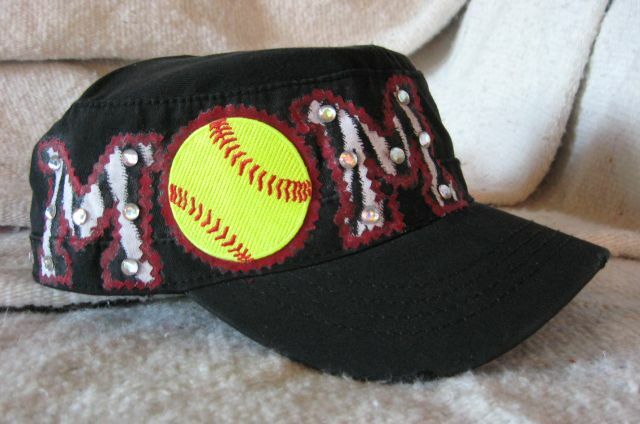 **Below the MOM Sport Hats, you will find 'Custom Hats' with a variety of custom hats I have made this month along with 2 rows of all the available color backings with their compliment prints. You will see others' ideas and then use your creativity to "build a hat" just for you! **Below the Custom Hats are the 'Cross Hats' which are available for order as shown. I tried to think of most color combinations, but if there is one you would rather create, contact me and we will take care of you. 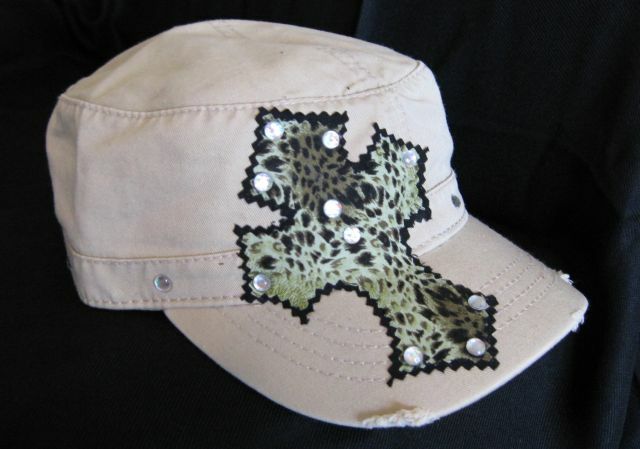 **Below the 'Cross Hats' you will find Breast Cancer Ribbon Hats and two Cancer Survivor Hats. These are available for order as shown, and there is also a 'Custom' Cancer Ribbon Hat button for you to order the ribbon color which represents the cancer you wish to remember and support. 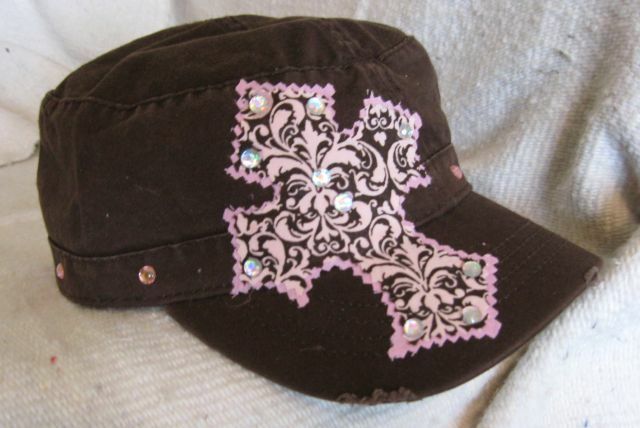 Finally a fun, feminine hat full of bling for our kids' ball season! These military style hats are a perfect fit for women and they have an adjustable velcrow back so to fit ladies of all ages. These hats are available to order as shown, they are the most requested color and print combinations. Tap into your creative side and 'build a hat' just for you. Below are custom hats I have made this month, along with all the different colored backings with complimentary prints. 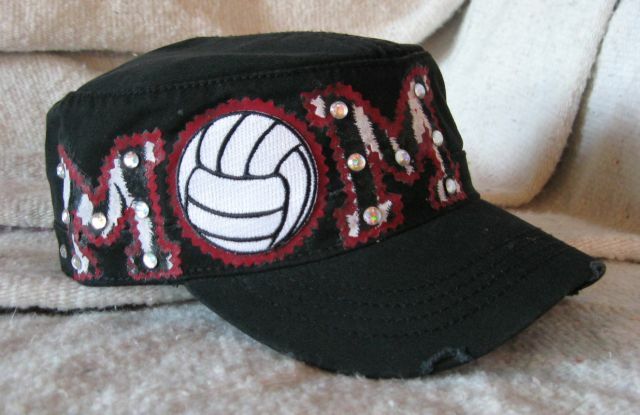 You can order a single large letter, two letters or three letters to represent what you have in mind; or a MOM sports hat; then specify the letters, color of hat, letter backing, and desired print to me by email. These hats are in! They have an adjustable velcrow back so to fit ladies of all ages. 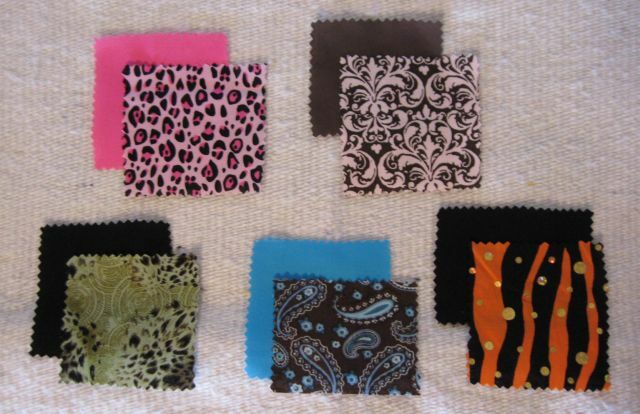 With many color combinations, you will find the perfect one for yourself or a great gift.